HIPHOP HERO: Ozi Batla is coming to Lismore for Youth Week. OZI will be in town to MC the Lismore Youth Week 2013 festivities in Kadina Park on Saturday, April 6. Themed Aussie Battlers, it'll be a beat-heavy dance, rhythm and rhymes- oriented, all-ages, alcohol and smoke-free event. Also performing will be local Aboriginal MC Gumaroy, hip hop outfit Supafresh and creative people's collective SistaGurl. Ozi was a founding member of Australian hip hop pioneers The Herd and co-wrote some of their most controversial songs, including their breakthrough 2003 hit Scallops, 77%, Starship Troopers, A Bright Tomorrow, We Can't Hear You and the famous deconstruction of Redgum's Only 19. 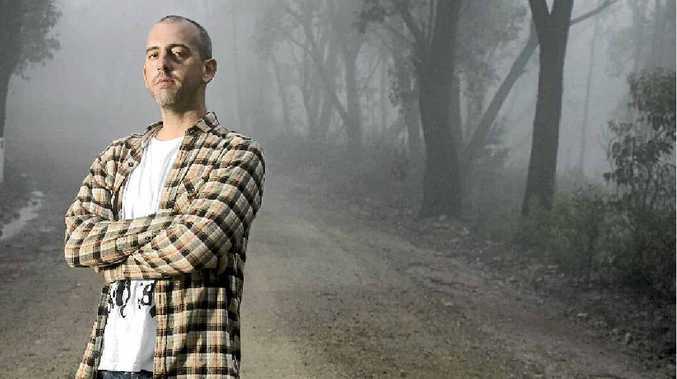 He reckons The Herd's rise was synonymous with Australian hip hop - and their label, Elefant Traks. "The label's been around for 15 years and we've been through different generations of fans so it's all been fairly organic for us. If you look after your audience, your fan base usually sticks around. "Aussie hip hop is going from strength to strength. It's part of the mainstream music scene now and there's definitely a whole other tier to aspire to than to when we were starting out. It's been pretty amazing to watch over the past decade." That decade has seen a fairly consistent focus on socio/political issues, rather than the gang-bangin'/bling bias of mainstream American hip hop. "I have heard hip hop being described as modern folk music and that's something that we're known for. It's just natural for us because we all come from socially conscious backgrounds, so even if it's not in the lyrics it's definitely informing the music." Ozi's no stranger to working with teenagers either, having conducted workshops for disadvantaged youth across Australia and recently in Indonesia. The workshops are relaxed affairs with the onus on participation. "For this sort of gig I'm going to be encouraging the kids to have a go. I'm going to have an open mic the whole day and I'll be doing a performance as well but I'll be around if any of the kids want to have a chat or take some photos or have a rap or play me some of their music." Aussie Battlers runs from noon till 5pm with a free barbecue. If it rains, it'll be at the PCYC.